I wasn’t sure just how well Date Night would work given the fact the trailers most often show the best scenes in a film. And if what was showcased in the trailer was the best bits from Date Night, then I wasn’t holding out much hope for the actual film itself. 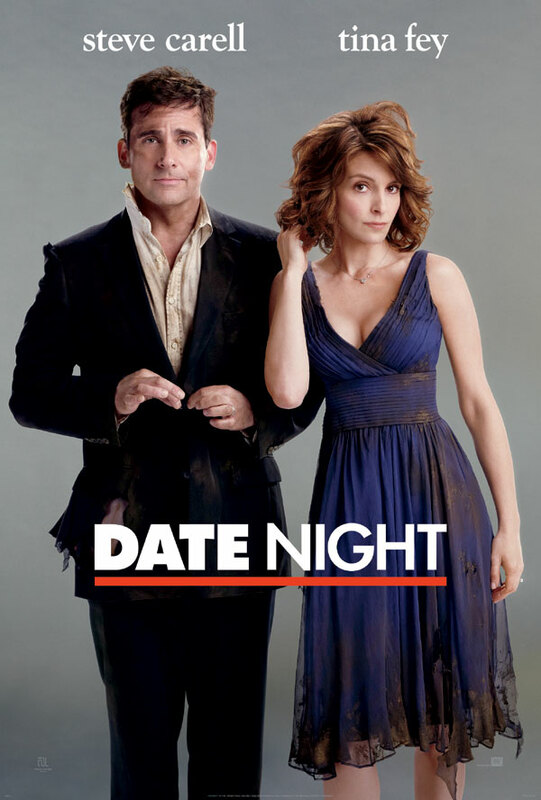 But Date Night proved to be entertaining and quirky, with plenty of physical comedy done by two actors unafraid to look ridiculous. And, thankfully, the trailer didn’t represent the film’s funniest moments by a long shot. Meet Phil and Claire Foster. They stay in suburban bliss, lead busy lives and when they’re not dealing with clients or admin, they’re pulling mom and dad duty to their ADHD-like kids. The monotony of their relationship and life however seems to get the best of them, as they struggle to keep alive their marital spark. They plan a night out, away from the kids and chores and head to a swanky new hotspot that’s opened in the bustling city of Manhattan. The Fosters show up without a reservation and are scooted to the bar on the off-chance a table is freed up. When Phil and Claire hear a reservation being called out for the Tripplehorns they decide to act like they’re the Tripplehorns and ‘steal’ the reservation. It seems innocent enough, but before Claire can finish her risotto they’re hauled off by two thugs and become embroiled in a case of mistaken identity that involves corrupt cops, a seedy politician and of course the mafia. They soon find themselves on the wrong end of a gun – and it’s turned sideways. “That’s the Killshot!” says Carell which propels one of several one-liners and scenes that were undoubtedly ad-libbed by the two leading stars themselves. As far as the plot goes, it’s the classic mistaken identity caper that’s been around since Hitchcock. It also involves a cliché dose of crooked cops, angry drug dealers and extreme car chases. Claire and Phil are hilariously ill-equipped for getaways and scheming and their desperate escape involves the help of a permanently shirtless Mark Wahlberg, who stars as the scene-stealing hunky security expert. Josh Klausner’s script takes the New Jersey couple and transforms them from mild-mannered suburbanites into resourceful heroes figuring out how to outwit the bad guys on their trail. It proves to be quite enjoyable but no thanks to a clichéd, tired and nonsensical script. The comedy duo’s charisma and chemistry pulls through however and makes the weaker elements of the film bearable. Perhaps it isn’t nearly as funny as any given episode of The Office or 30 Rock, but there are good parts too. The film has an amazing supporting cast with names like James Franco, Mark Ruffallo, Kristen Wiig, Ray Liotta and Mark Walhberg making an appearance. It has its fair share of ridiculous setups and unrealistic car chases but the flashes of funny make it worthwhile.